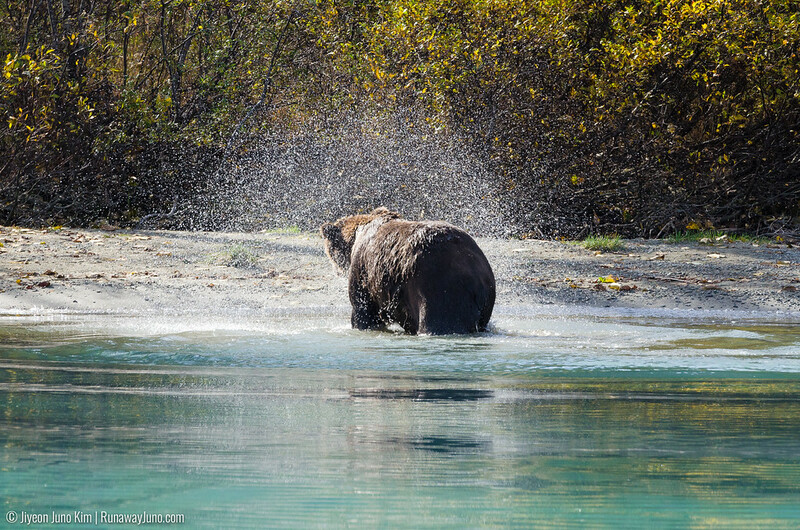 What is it like to see wild bears in their natural habitat? 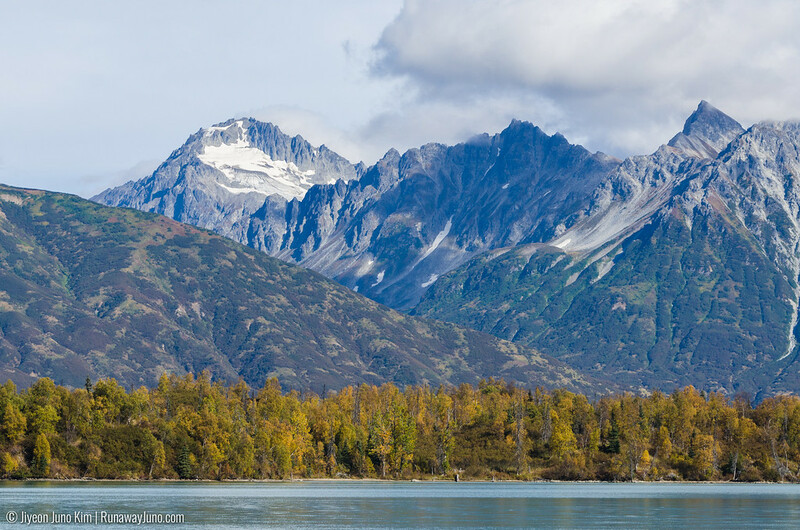 There are a few typical images you’d associate with Alaska: hanging glaciers, rich native cultures, wandering moose, bears, and Denali to name a few. 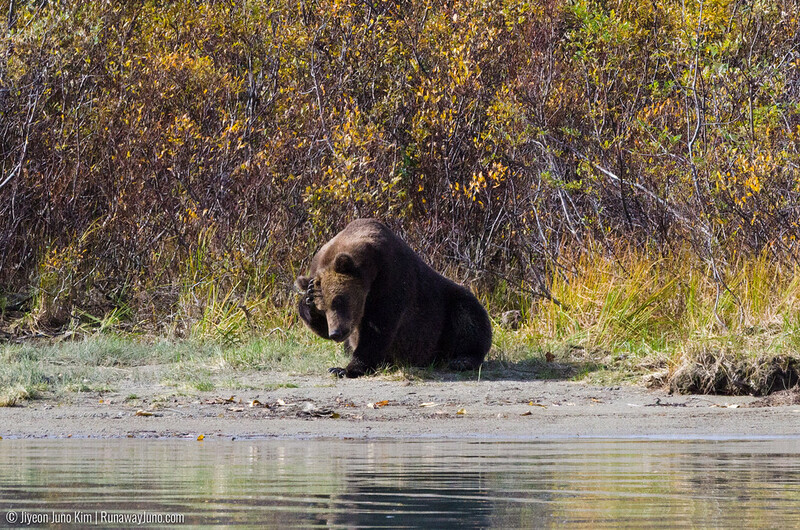 I was fortunate to experience a lot of Alaska’s finest, but bear viewing hasn’t crossed my path yet, until recently. I boarded a small float plane at the Lake Hood Seaplane Base heading to the Redoubt Mountain Lodge in Lake Clark National Park. 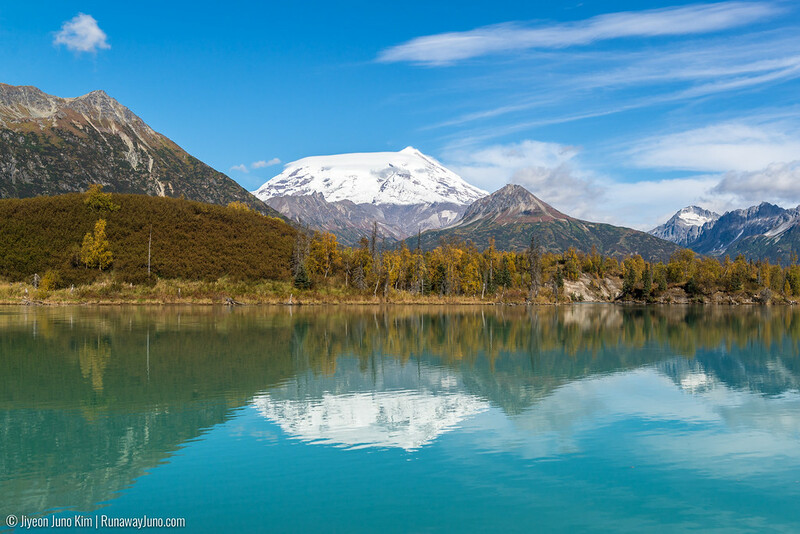 The Crescent Lake, where the lodge is located, is a 9-mile long, glacier-fed lake with turquoise blue water. 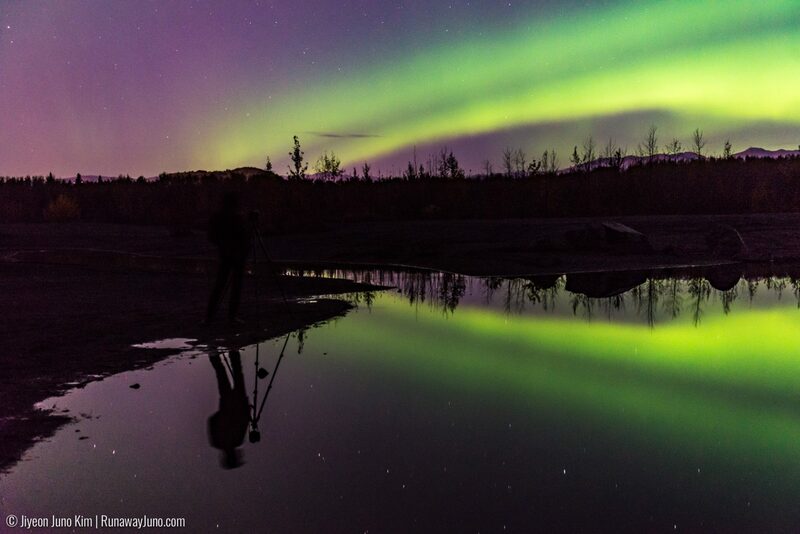 It’s about 50 minutes away by a plane from Anchorage. Crescent Lake is relatively unknown but it’s one of the best places to see wild brown and black bears in the state. 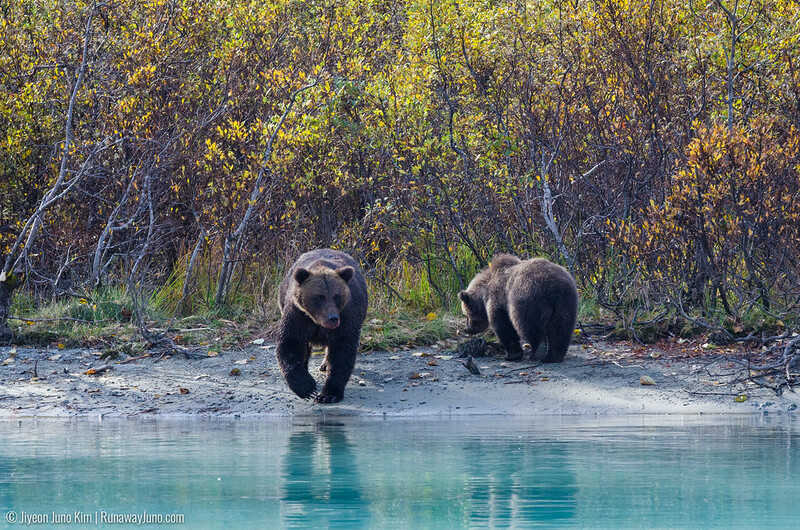 Alaska contains more than 98% of the brown bear population in the country. 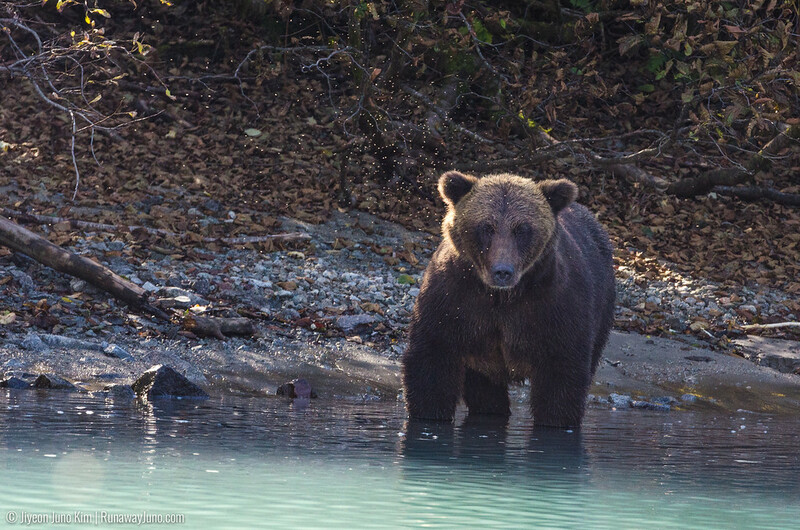 The term “brown bear” is commonly used to refer to the members of this species found in coastal areas where spawning salmon is the primary food source. 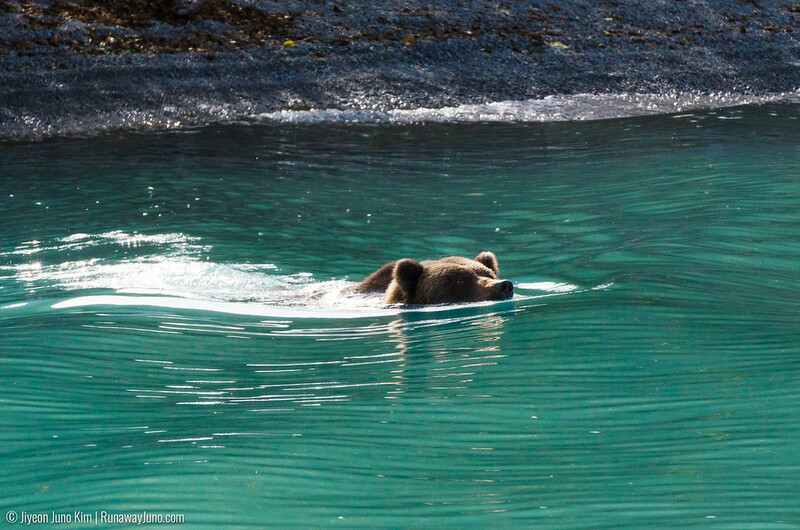 Brown bears found inland and in northern habitats are often called grizzly bears. Brown bears are big in size and have claws longer and straighter than black bears. The size is variable and correlated to the diet. 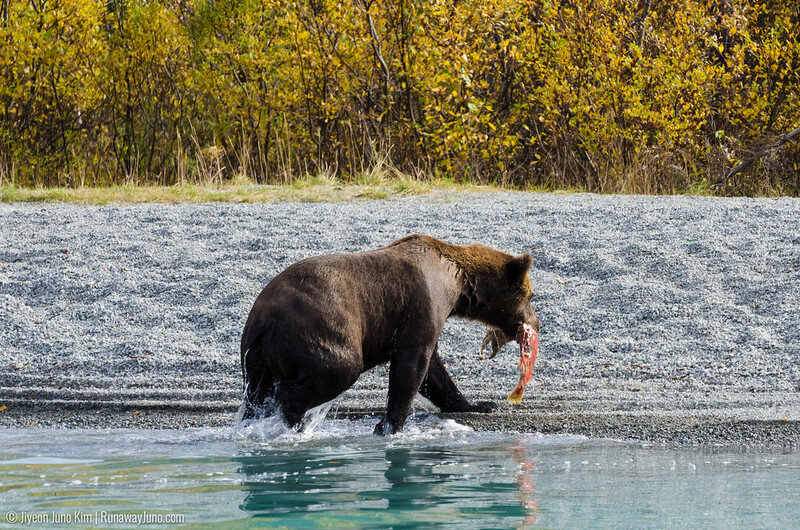 Bears in Alaska are bigger because the salmons are high in nutrition. 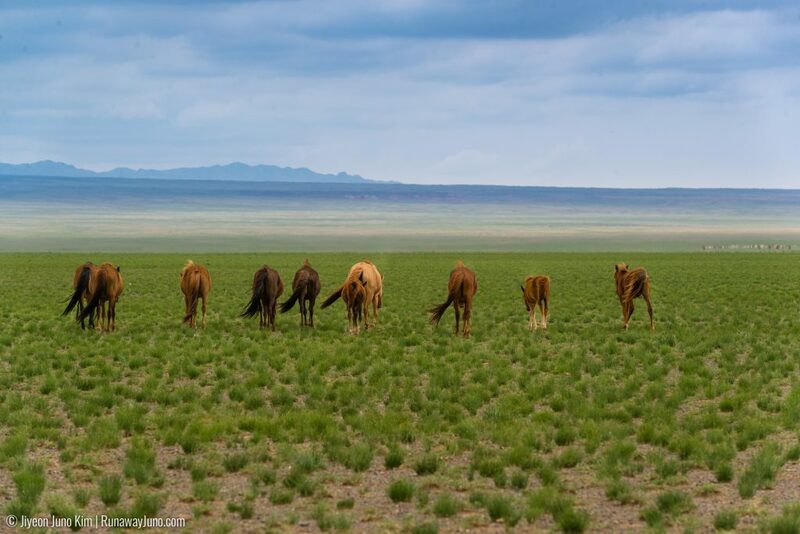 Journey to Redoubt Mountain Lodge… Look out! The journey to the lodge was an experience itself. The weather was perfectly calm this morning, so we were able to fly over beautiful mountains and glaciers. The pilot said it was rare for him to take this route because the wind and other variables usually made it difficult to navigate. It was a great indication of a successful trip. Of course, Denali was out to wish everyone a great trip with the perfectly blue sky as a backdrop. 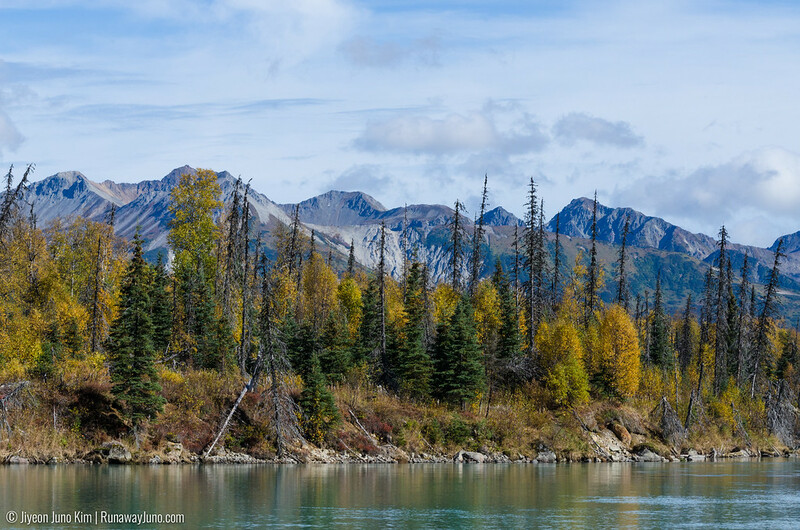 About 50 minutes after leaving Anchorage, we entered the wilderness of Lake Clark National Park. 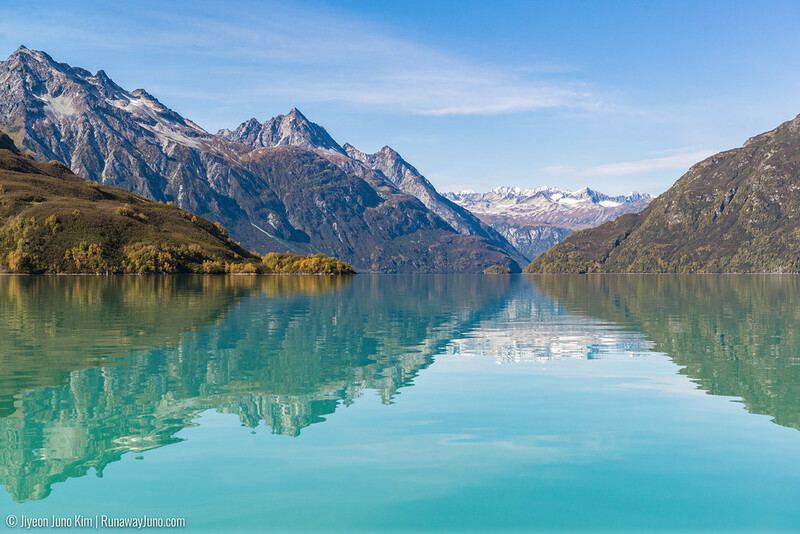 I’ve been to a lot of beautiful places in the world including other parts of Alaska, and I traveled a fair amount in this great state, but I have to say this Crescent Lake is one of the most stunning landscapes I’ve ever seen. 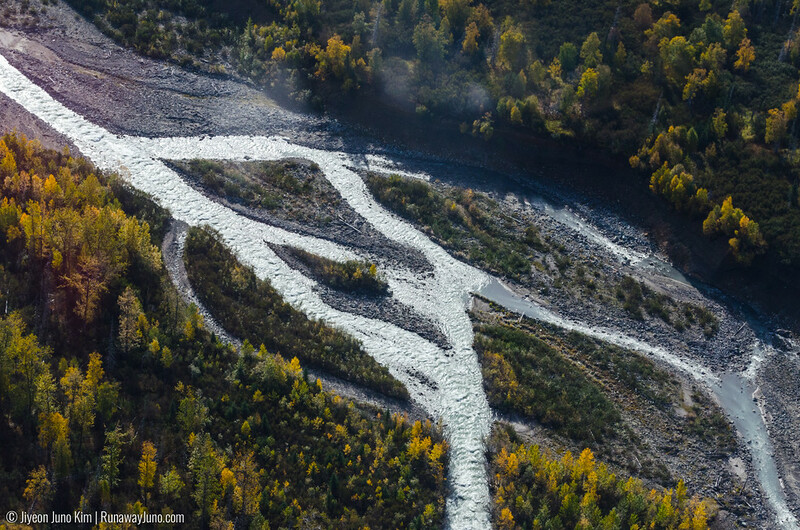 Photos couldn’t justify the rugged and tall mountains with fall colors and the perfect reflection on the water. Sometimes, we just have to look and admire with the heart. 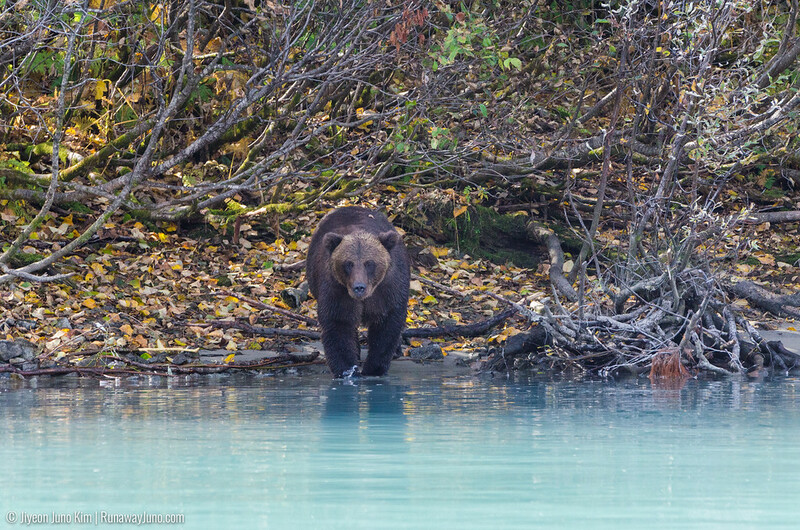 After our salmon lunch (ironically), we headed out to see the bears on a flat bottom river boat. As any wildlife viewing, I tried not to get my hopes up too much. We might not see one and I were okay with that. But I held my cameras tight to prepare for the moment. Our guide Mike got us on the boat and explained what we were going to do. We would spot a bear and try our best not to disturb it. 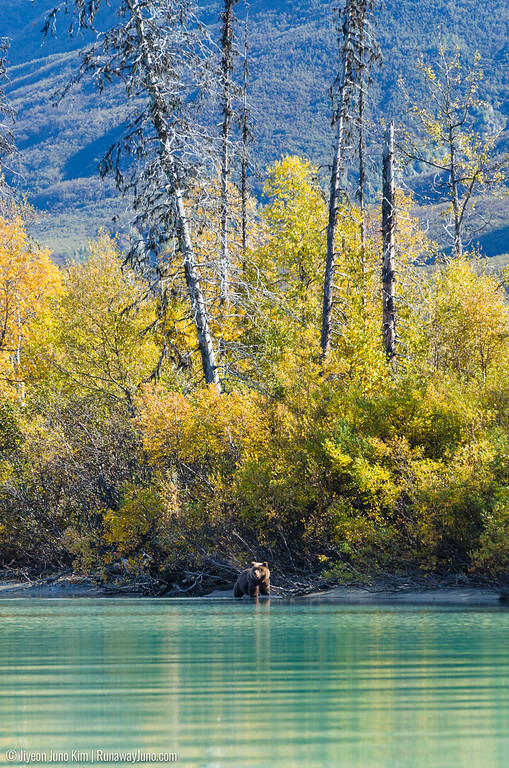 Because it was the end of the spawning season, there would be bears on the shore fishing. And there are a fair amount of cubs as well. 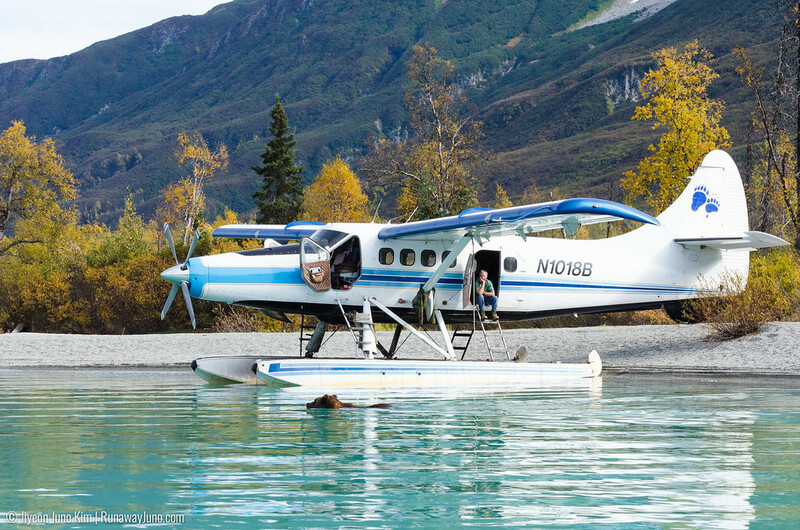 Shortly after we left, there he was, a bear casually lying on a small beach next to a plane. All our cameras were aimed at this one bear like it would be the last one we would see today. 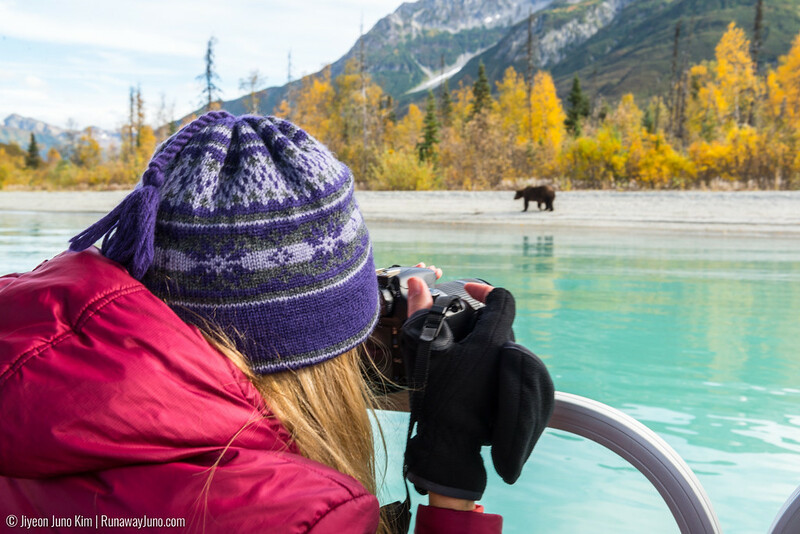 There is a reason why the Redoubt Mountain Lodge and Crescent Lake is known for bear viewing. We must have seen a couple dozen bears and a few cubs in just two hours. We didn’t even realize how fast the time went. The bears didn’t seem too bothered by our presence in their home. 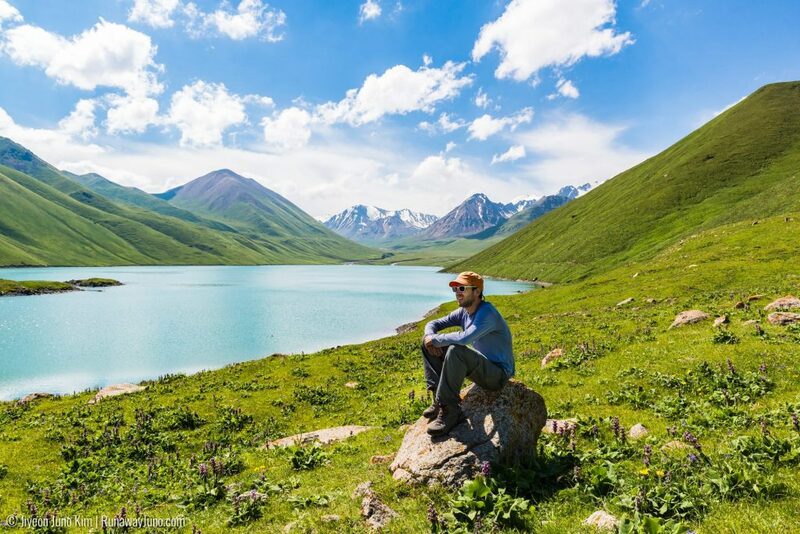 With the mountain and the turquoise water, they made the perfect landscape. 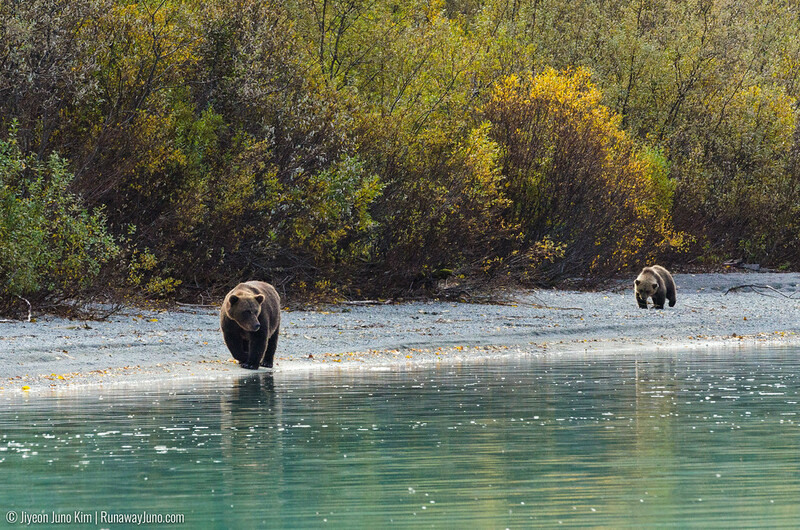 Bears just belonged in the landscape. It’s their natural home after all. Then it got quiet. There weren’t any bears in the popular fishing spots. We spent a little more time cruising but it was soon time to go. Do you like salmon? Bears do too. When were in our last round, finally we saw one female on a beach. She was fixated on something in the water. Mike pointed out that she was ready to fish. We stopped the boat and waited. I fixated my long lens to the scene. And there she went. She jumped into the water and bit a big salmon. 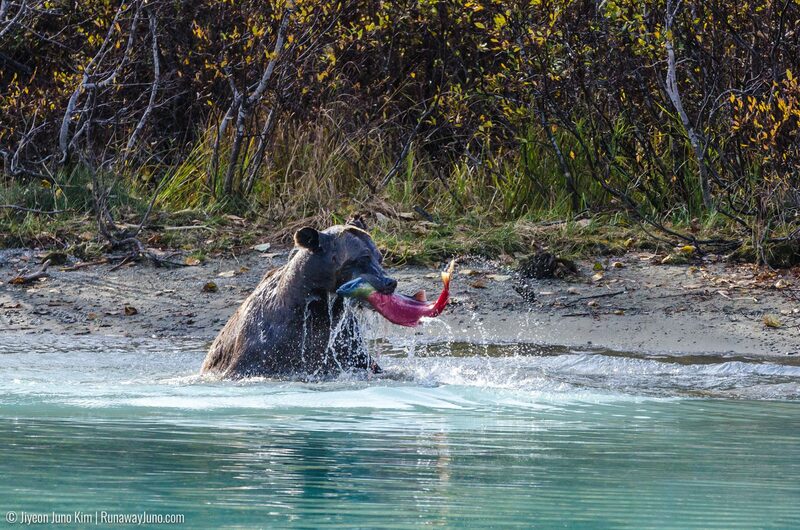 The salmon fought hard but it didn’t have any chance against the bear’s strong jaw. She enjoyed the fresh catch with her cub. We sat and watched until they finished their afternoon snack. It was exhilarating to watch. It was so real, so beautiful, and so raw. On the way back we saw another female fishing, but she didn’t have any luck. We came back all satisfied. It was like we were transported into this pocket of the world that’s untouched by civilization. 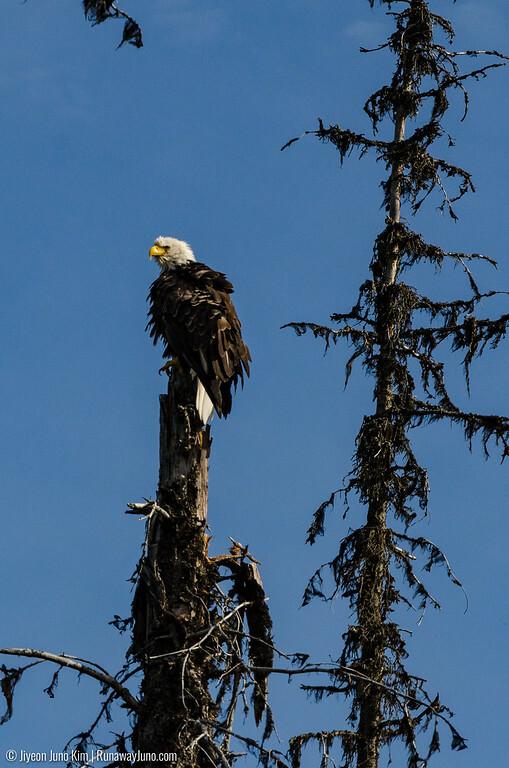 I often say Alaska is the most beautiful place I’ve ever been, and this trip to Crescent Lake was an affirmation of that statement. 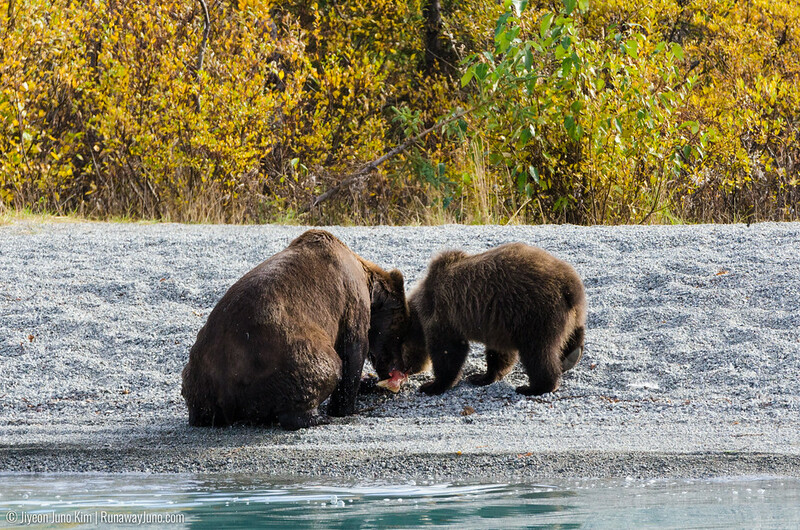 If you want to experience viewing bears in the world’s most beautiful place, please visit Redoubt Mountain Lodge’s website. 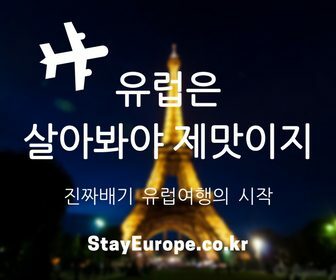 You can browse the packages and make a reservation. Stunning photos there! 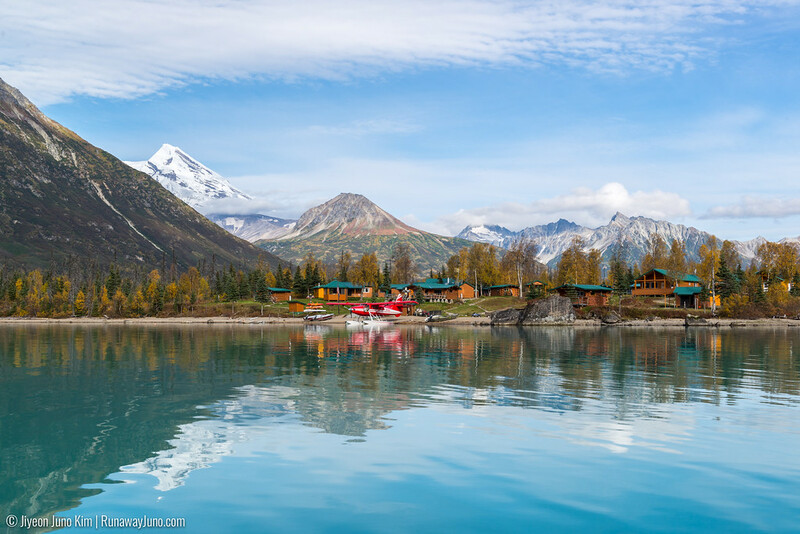 I have added an Alaska trip to my bucket list. Thanks for sharing. It looks so thrilling and scary at the same time. Photos capture so much of the fun. It was, even though we were quite far away from them. They are good swimmers, you know!